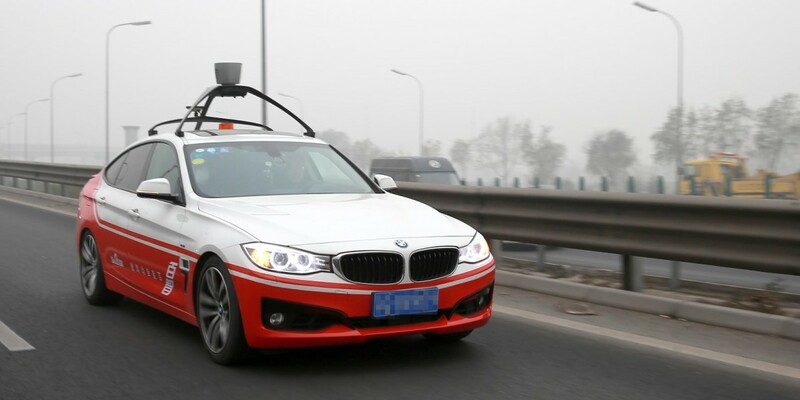 China’s leading search company Baidu announced that its self-driving car has successfully completed autonomous tests on an 18.6 mile route through Beijing. Baidu revealed that it was working on self-driving technology back in 2013. Wang Jing, a senior vice president at Baidu, told The Wall Street Journal that the company now plans to set up a new business unit to develop autonomous vehicles for use as public shuttles within three years. The company put a modified BMW 3 Series through its paces, testing its ability to make turns, decelerate when it detected other vehicles ahead, change lanes, merge into traffic and exit from off-ramps. At the core of its self-driving tech is Baidu AutoBrain, which combines Highly Automated Driving (HAD) maps and positioning, object detection and decision-making capabilities developed at Baidu’s Institute of Deep Learning. The company says its in-house HAD maps record 3D data to enable vehicles to understand their position on roads, accurate to within a few centimeters. It adds that it could map the majority of China’s roadways using this technology within five to ten years. According to Jing, Baidu will first focus on making its autonomous vehicles available for public transport. “We will cooperate with some governments to provide shared vehicles like a shuttle service; it could be a car or van, but for public use,” he says. The company hasn’t set a time frame for offering self-driving cars directly to consumers. With today’s announcement, Baidu is up against the likes of Google and Tesla in a race to deliver fully autonomous vehicles. But while its car has been tested hundreds of times with several trips per day, it’s way behind Google, which has covered over a million miles on public roads in California and Texas with nearly 50 self-driving prototypes. Baidu is yet to test its car’s ability to tackle rain, snow and narrow city streets. It’ll also have to wait until China enacts laws to support autonomous vehicles on the road before it can deploy its fleet across the country.